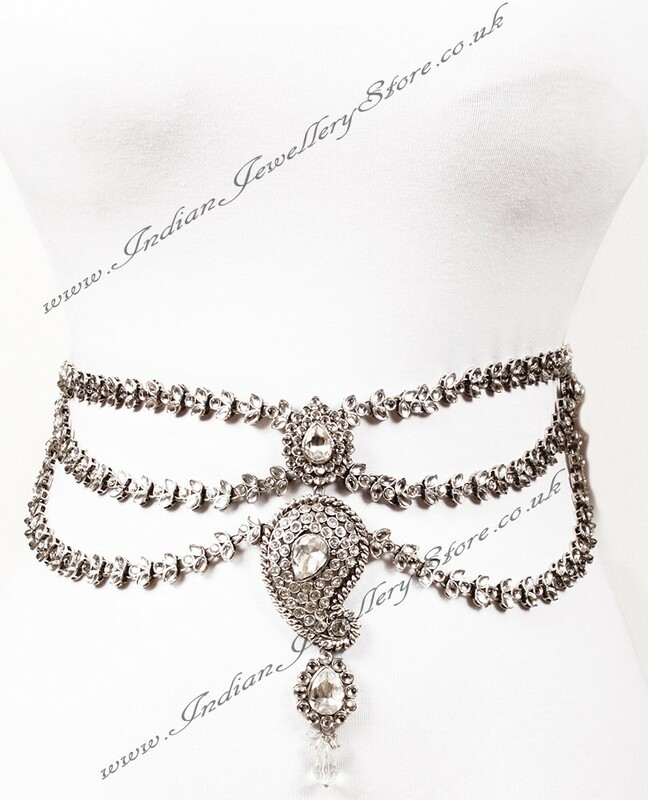 Indian saree belt / saree jewellery in silver colour (rhodium plated) and clear neutral white. Set with kundan stones. Belt width (approx. max): 15cm Other colours available. Saree belt with paisley design. Saree belts come in varying standard sizes, we cannot measure individual pieces but are happy to adjust a belt to your desired min/max length. Immediately after purchase, please e-mail your order number and the min/max length you require.